Restored, custom made and new furniture for sale. 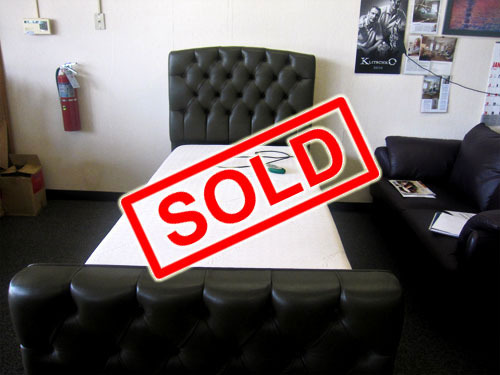 Universal Upholstering as a full service furniture repair and upholstering shop offers the option to buy restored furniture or custom made furniture right at the shop. If you have no certain demands as to the dimensions or any other parameters for the furniture you need, this is the right choice. Visit the store, choose the furniture you like and we will deliver it directly to your house or office. All prices are negotiable. FURNITURE FOR SALE: Custom pink bench. 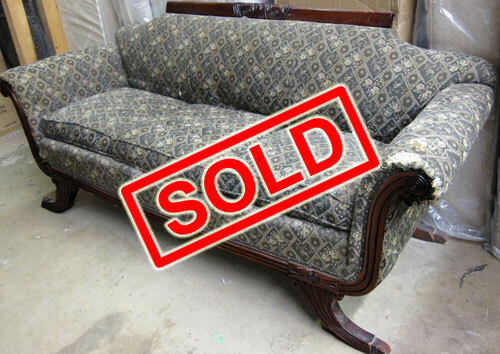 FURNITURE FOR SALE: Antique Sofa for Restuffing, Refinishing and Reupholstering. 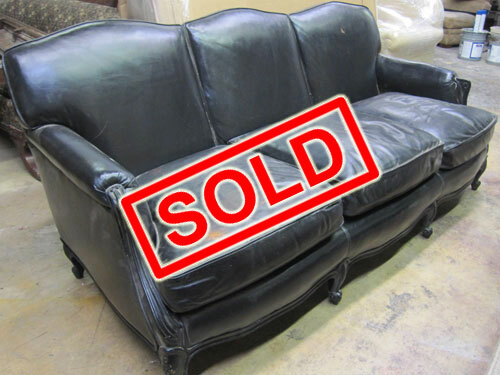 This antique black leather sofa is for sale. The price will depend on materials and amount of labor you want us to put into it. 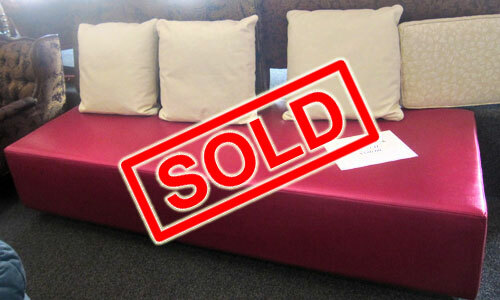 High quality base, and a chance to have this sofa custom restored to the way you want it to look! FURNITURE FOR SALE: Tempurpedic adjustable motor twin bed. FURNITURE FOR SALE: Antique Sofa for Re-glueing, New Foam and Reupholstering. Another antique sofa with a quality frame is for sale, along with a chance to have it custom restored with your own choice of upholstery fabric and color. The price will depend on materials and amount of labor you want us to put into it. 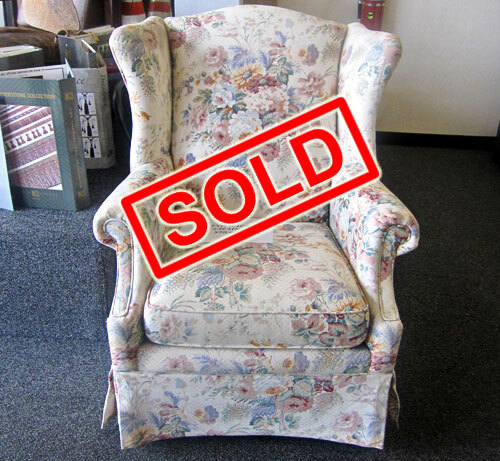 FURNITURE FOR SALE: Wingback chair. 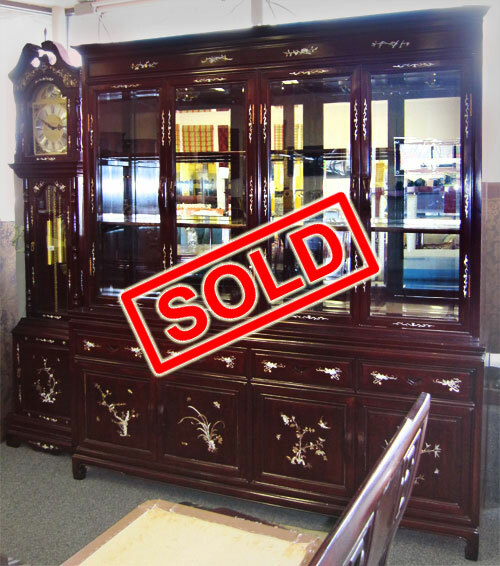 large hutch with mirror backed glass doors on top plus drawers and shelves on the bottom, 1 grandfather clock, 1 living room sofa. 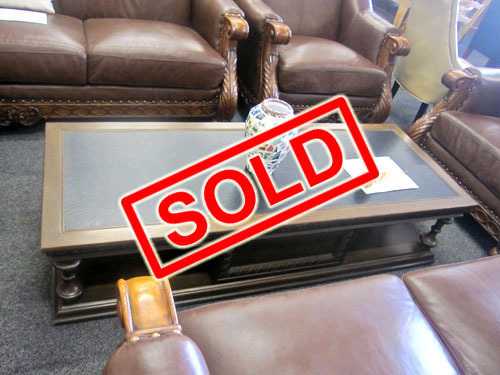 glass top square lamp tables, 1 glass top rectangular coffee table, 3 living room armchairs. 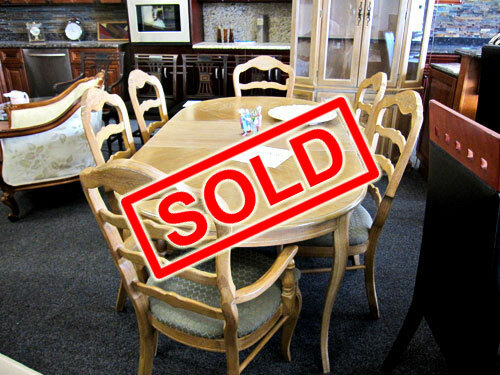 round to oval dining table with a removable table leaf extension, 6 regular dining chairs and 2 armed dining chairs. 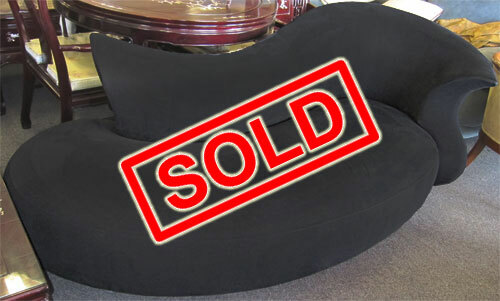 FURNITURE FOR SALE: Two Exotic Black Sofas. 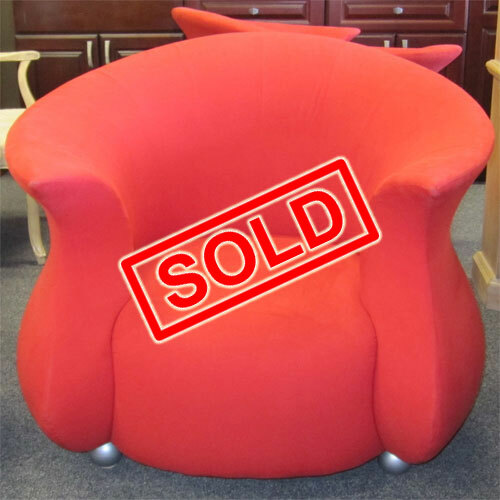 Depending on the agreed-upon price, you can buy these as is, or have us spot clean them for you, or have us reupholster these exotic sofas for you - with any material and any color you select. 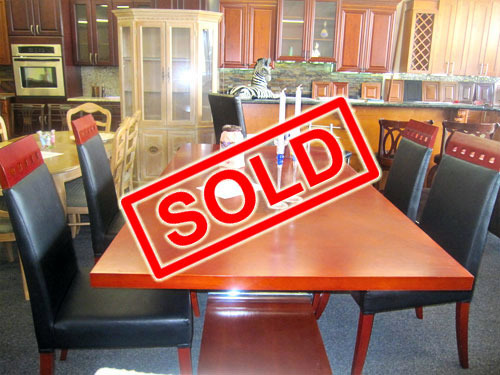 FURNITURE FOR SALE: 8 Piece Dining Furniture Set - includes a table, 6 chairs and a china buffet cabinet. FURNITURE FOR SALE: Exotic Red Sofa with two Chairs. FURNITURE FOR SALE: A 5 piece leather furniture set. 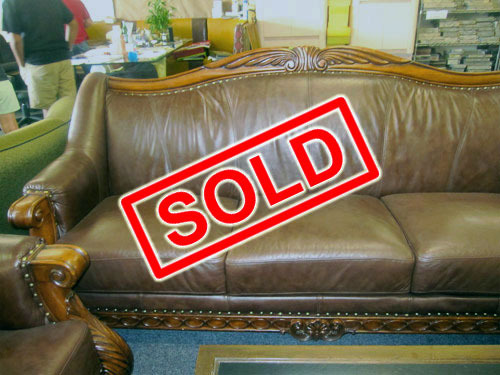 This leather furniture set includes 2 sofas, 2 chairs and a loveseat.